David Montgomery and Taran Campbell, the founders of Infinity Trampoline Park have been announced as the winner of the Start Up Loans Inspiring Entrepreneur of the Year at the 2017 Startups Awards. The duo has been in business for 2 years, now operating 2 sites of Infinity Trampoline Park based in Cardiff and Inverness with further plans for expansion. This award is a testament to the tough journey Infinity has taken them both them on since they first met back in 2013. 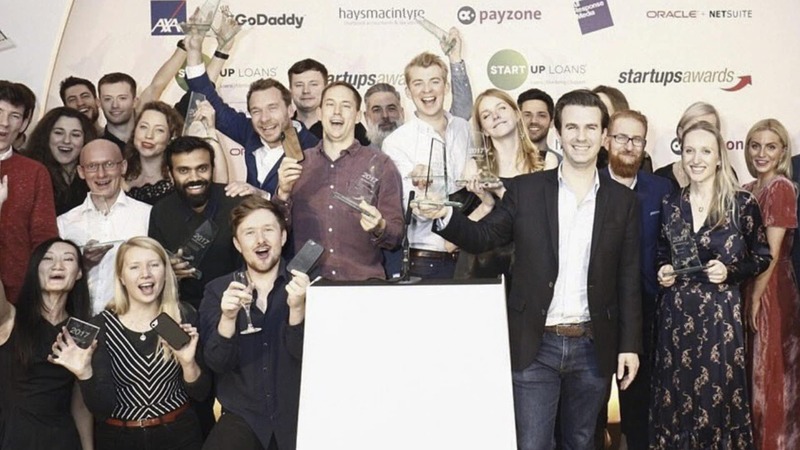 Established in 2004 by Startups.co.uk, the Startups Awards is the UK’s longest-running awards to celebrate and champion the country’s most exciting, innovative and game-changing new businesses launched in the last four years. Judges of the awards include beauty entrepreneur Liz Earle MBE, Dragon’s Den investor Touker Suleyman and Paul Lindley, founder of Ella’s Kitchen. Funded or not, big or smaller, London-based or not, there seems no end to the deep well of brilliantly innovative, determined, and passionate entrepreneurs in the UK. We’re in awe of what our finalists and entrants have achieved..
Past Startups Awards winners include Glasses Direct, The Cambridge Satchel Company, Naked Wines, Appear Here, Home Instead Senior Care, Notonthehighstreet.com, PROPERCORN, Purple Bricks and Onfido, to name but a few. We are delighted to be the headline sponsor of this year’s Startups Awards. All of the businesses shortlisted this year demonstrate the enormous potential of how a lightbulb moment can evolve into a business that generates economic growth, changes lives, and importantly, provides a much-needed service or solution. Winning such a prestigious award at a national awards competition was something the lads did not believe they would achieve so early on after setting up their business. They faced some stiff competition in their category including BakedIn, Koru Kids and the London Sock Company. The victory is the second award the pair have won in recent months. Already building on their earlier success in 2017 at the Wales Start Up Awards in Cardiff where they jumped to the podium and won Leisure and Tourism Start Up the Year, David and Taran are determined to build on their successes into 2018 and beyond. Watch this space!